This recipe and photo are courtesy of Mission Foods. Whisk the mint chutney with the thick cream until smooth, then mix in the ground coriander and cumin. Add in the rest of the ingredients and season with salt and pepper to taste. 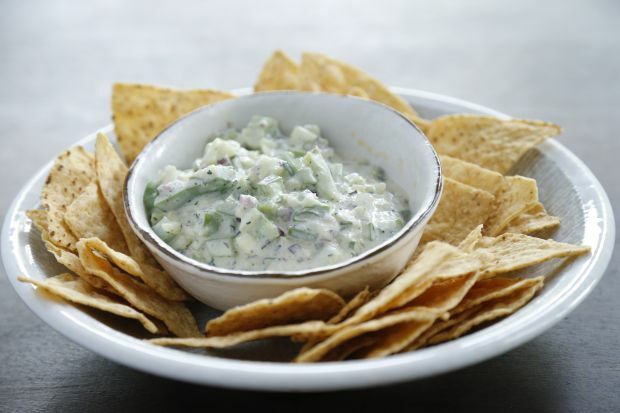 You may keep this dip refrigerated until ready to serve with the tortilla chips.